1000 Minted. 50MM. Brass. And how can one not like this? I was skeptical at first, but to see the details. WOWZA. This is china modern coin forum. However, it is more medal photo been update and post. Where are the china modern coins collectors ? There is a new issue of coin on 3 June 2015. Why no one post it? Nah, I am newbie and part time dealer. I might be shot down If I post video or photo here. I lazy to put disclaimer. I think all you would have to say is if you were currently buying or selling the coin for a disclaimer. I don't know that there is any rule that precludes anyone from posting pictures, video, audio and/or similar material in this or any other forum. Most forums will require that it should be wholesome and free of bias. It is assumed that forum members and guests know the poster and the relationship with the item being showcased. Such knowledge includes whether the poster/forum member is an amateur enthusiast or a professional/semi-professional coin seller (full or part time seller) or a combination of both. I believe most forum members' credentials are known, after some time and familiarity, to regular visitors to the sites; forum members who occasionally sell coins or do it full time are generally known and other members even buy coins from fellow members. Coin collectors don't have static collections; they at times may need to sell some or all of their collections either to upgrade or quit collecting. It is accepted here and elsewhere for members to buy and sell coins, especially in designated sections of the forum. The only other area of sensitivity is the potential impact of forum members' postings, whether written or audiovisual, on market conditions. It is a fact that information gleaned from a multiplicity of sources can influence how markets behave. We see that in various iterations of public trading including the stock market. It also happens in coin/medal markets. One would prefer markets to evolve naturally without impact from pundits. That is one of the ways of ensuring stability in the market. The dynamics of coin collecting often leads to sustained appreciation in valuation of certain coins. It therefore becomes troubling when markets are suspected to have been impacted by verbal, written and audiovisual output from parties that may gain financially from the resulting market movements. Whether this concern is real, presumed or imagined cannot be conclusively determined without a thorough investigation. The fact that it is often onerous to determine wrongdoing and prevent false accusations is probably why there is a lot of sensitivity about the issue in the first place. 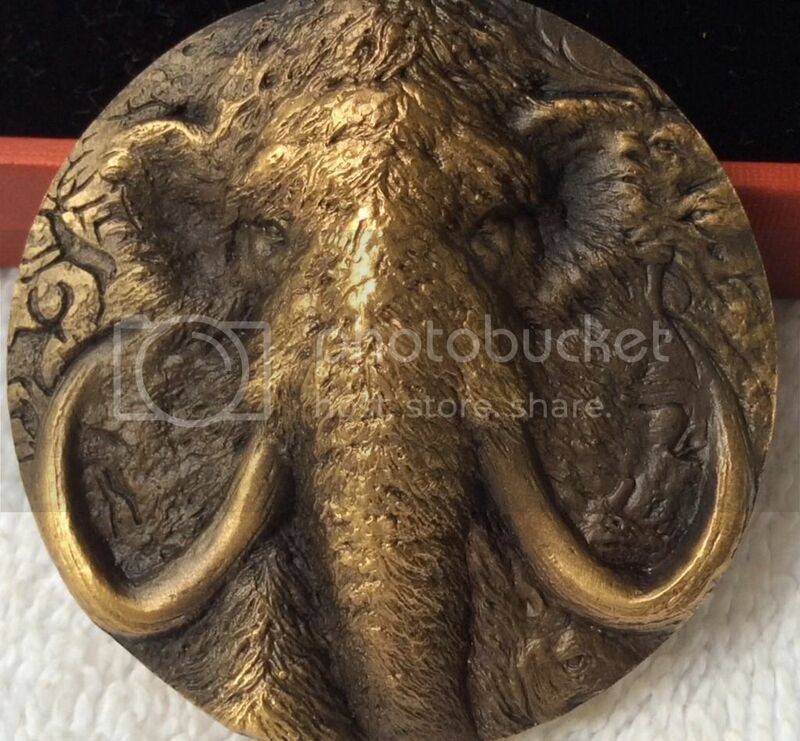 MCC forums such as this, hopefully, welcome information from forum members that will enhance our knowledge of the vast variety of coins and medals produced and continue being produced by the China mints. A classic example is the currently evolving thread on the Classical Garden Series; I am sure many forum members have learnt a lot from the information proffered by members. Everything about the thread seems to be above board and nobody seems to have an issue with it. Many of us come to this and other MCC forums to learn, entertain, blow off steam, rant, have fun, relax, seek encouragement and inspiration from the MCC community. I believe that most of us are adults. This means we learn best visually and benefit from visual material presented by members. As long as everything is "kosher" I don't think there should be fear of posting visual or audiovisual materials on forums. Finally, I believe that forums should have disclaimers at the index page to cover activities and interactions. This should cover the usual conditionalities. I don't believe that it is necessary for individual members to have disclaimers attached to their postings. If someone has a coin selling business he/she can optionally place a link for interested readers to peruse current offerings. There is absolutely nothing wrong about buying and selling coins. Sellers often have vast/critical knowledge and information on coins; therefore their active contributions to forums should be encouraged especially in the area of MCC because we rarely get direct information from the mints. But this is just my opinion and understanding of the current status of things and I stand to be corrected. I agree with your view. However, we cannot represent majority members here. I wish not to be in BOB situation as happen in Nanjing panda thread. Yeah, it's not fun being the the lone voice in the desert. . But I do love my Nanjing pandas! This is a friendly community to share information of Chinese coins/medals/banknotes and we do not criticize any member unless the member is clearly to show the “conflict of interest”, such as the recent incident. IMO, whenever, a member wants to sell a coin/medal which the said member has promoted, it is perfect acceptable, as long as this member make disclosure publically, such as providing the link or posting in BST section of this forum. This type of promotion has been not only acceptable, but also a welcome practice by the majority of members in this forum since I jointed this forum in 2008. There is a clear fine line between selling/promoting and pumping/dumping. Try to make proper disclosure will solve the issue of “conflict of interest” and make this forum a safe and transparency place to share information and buy/sell of Chinese coins/medals/banknotes. Seriously your observation actually reflects what is going on on the Chinese market. Precious metal coins are still in deep freeze. Now with the "exchanges of cultural assets and equity (coins, stamps, phone cards, banknotes)", even jibi.net is abandoned because it has become the major promoter of such exchanges, which have seen 10 days of limit down and carnage of new individual investors. I doubt whether jibi.net will be there after the casinos of these exchanges are gone. On the other hand, the medal market is still pretty active and healthy. There are wonderful works by the official mints, such as the Buddhist Mountain series by Shenyang Mint, and the Classical Garden series by Shanghai Mint. 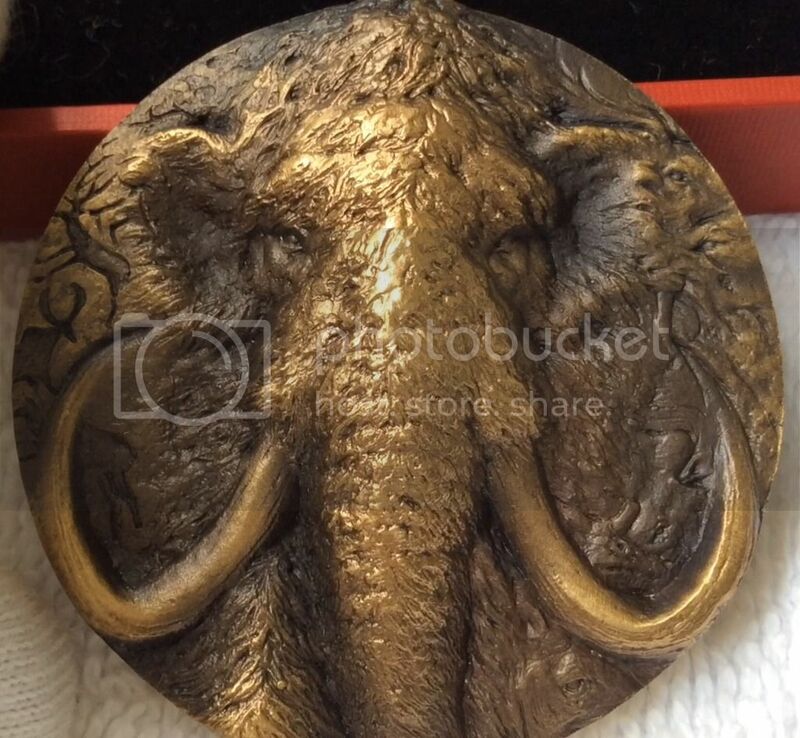 Even private mints are producing amazing artwork, like the following Buffalo in a Lotus Pond, cast with enamel. (I do not own any.) 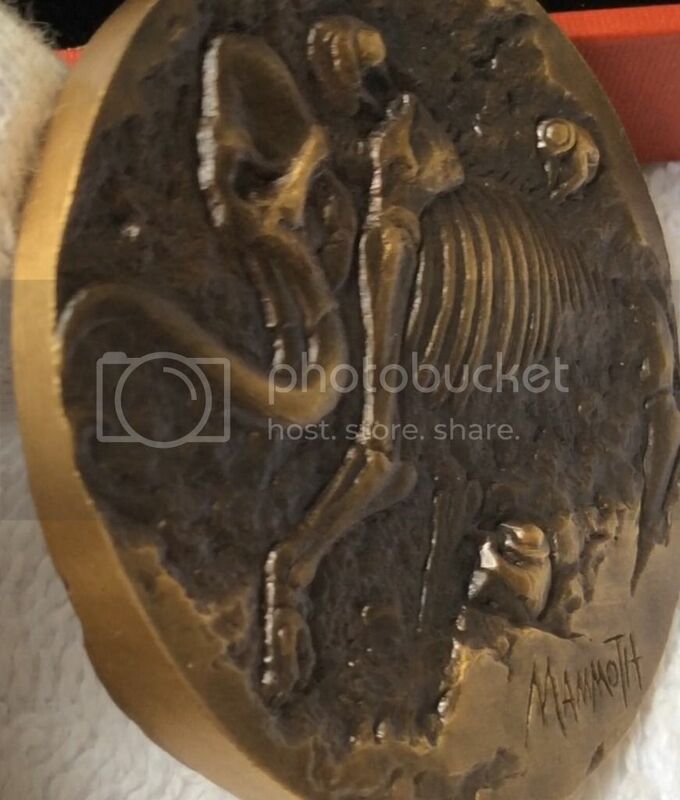 Granted that medals are artwork, and not the usual investment targets, but the prices of the master pieces have been going up anyway, in contrast to the precious metal coins which are held hostage to the spot prices. Two years ago, the inaugural release of the Shenyang Buddhist Mountain series, Putuo, was RMB220. Now it is RMB380. In January this year, I bought a 69 silver Old Summer Palace for RMB960. The latest auction price on zhao online is RMB1700. The release price of the Buffalo in a Lotus Pond (155 mm) was RMB1780 in Feb of this year, but if you can get one for RMB3000 now you are lucky. Isn't it fun to enjoy the superb artwork, knowing at the same time that it is also adding value? wow. And yes, that is some amazing art work. I believe it is 88 mintage. 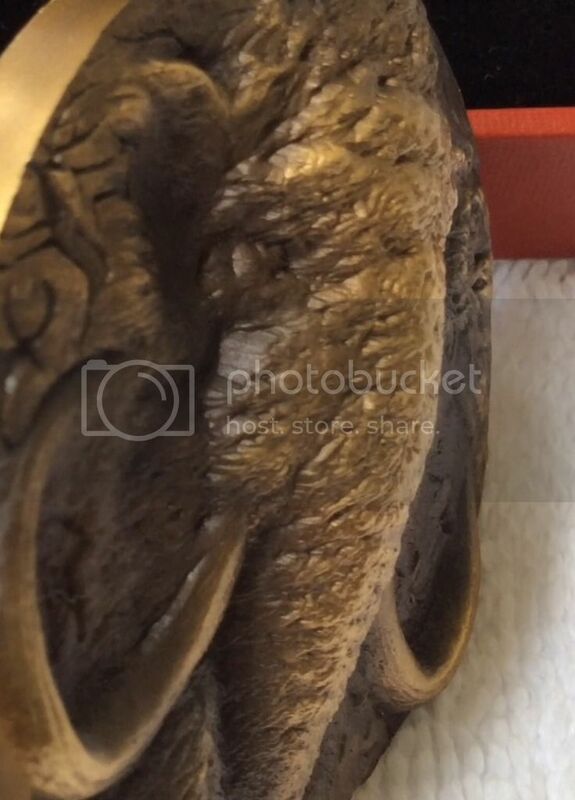 Am I safe to assume that bronze is the same as brass? The only part I scratch my head over is the calendar. Why the calendar? I still don't understand the exchanges, and I'm glad I don't. lol. I just knew that was trouble waiting to happen. No thanks. lol. I'm happy investing in my perth mint coins, and collecting the marvelous, beautiful, detailed, and amazing craftsmanship of the chinese medals. That medals is astounding. A work of art. wow. I nomore than agree of your comments. I might copy BOB disclaimer if he allows as my footer of every post. 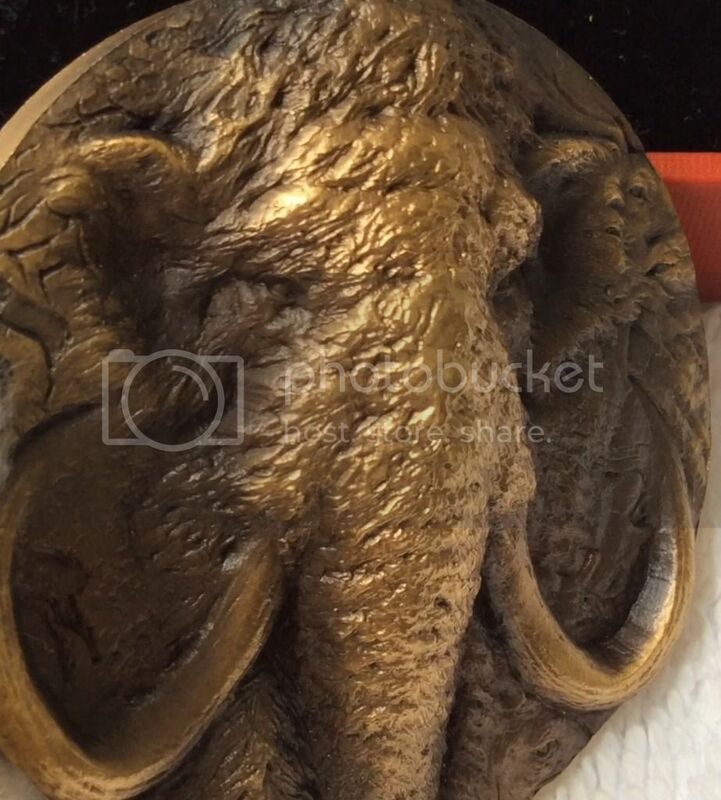 I like the ox medal especially the enamel effect to bring the tone of bronze. The little frog attract my most attention. 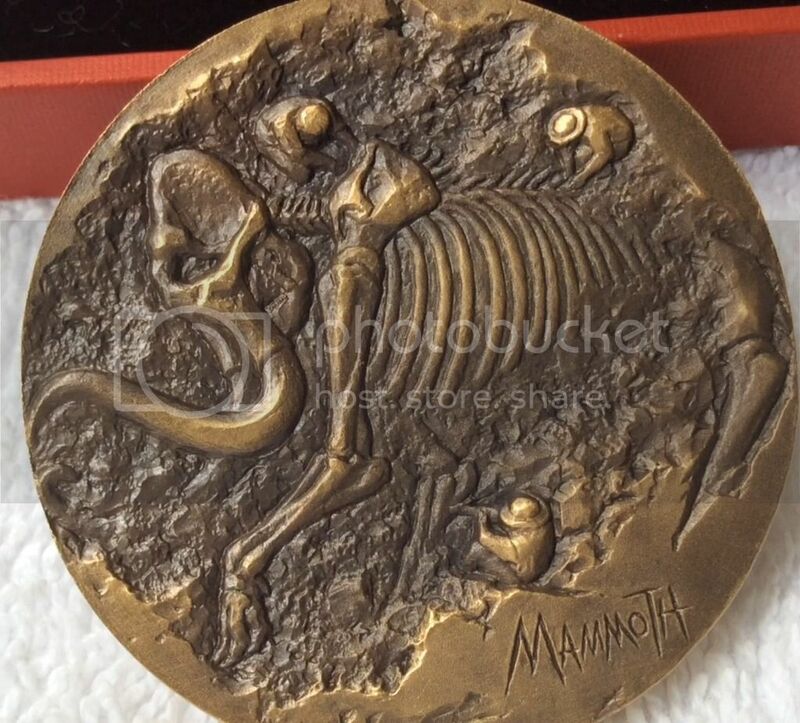 BTW I say I do not like mammoth at SS and hard to convince me to buy it for collection and sell. However, lastly I did bought some 50 mm due to attractive pricing and grade it. I hope the encouragement/clarification from KOT and poconopenn make me more active and voice up here. hello andy, all you need to do is go to profile, then look for my profile, then go to the go to 2nd line, where it says, 'forum profile information.' Scoll down and see signature? put your mouse inside box, copy and paste this, or modify, or add your own. My posts are for information & education purposes, although I MAY (more than likely) buy/sell/hold the MCC I write about, so I may not be unbiased in readers eyes. Contact a coin dealer or advisor before acting on what I have posted. I am passionate about Chinese medals. If that gets misconstrued as being a Pumper & Dumper. I'm guilty as charged! And then save. I hope this helps. This way, when you are posting info about medals you love, and you happen to sell a few to make a few extra bucks, you're not accussed of being a prison inmate. Looks good Andy. Now we won't get in trouble if we make a few dollars as we share with others the love we have for medals, and help others to attain their goal of getting the same medals and coins we love, adore and cherish. If I didn't adore, love and cherish these beautiful medals, I wouldn't be collecting them. I wouldn't be starting a website. I wouldn't be taking time out of my busy day to post videos and pictures. This is a hobby for me. I do just fine in my career, thank you very much. I do this for fun, and I'm sure you do as well. If we happen to make a few extra dollars in helping othes, then amen. Any profits I make goes back to buying more medals and coins, so in a way, we are helping dealers achieve greater profitability. Kudos to us. all the best everyone.